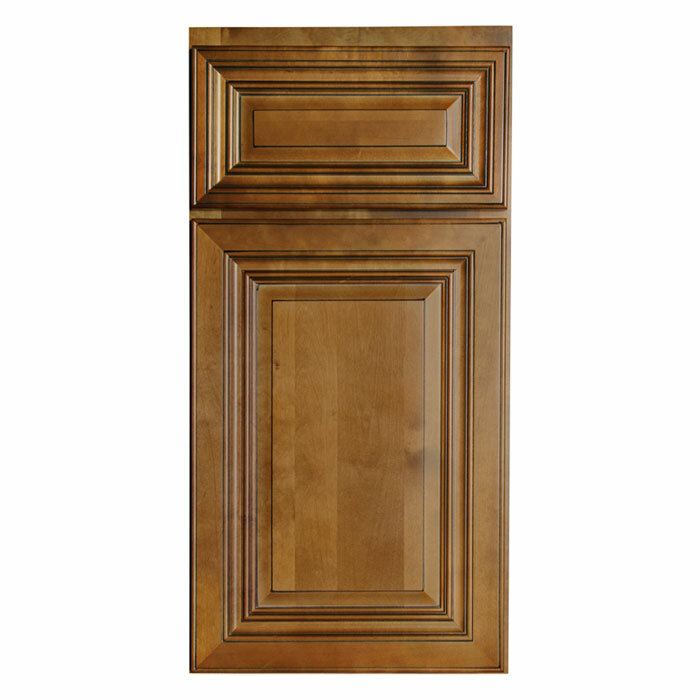 Charleston Coffee Glaze kitchen cabinets and bathroom vanities have a timeless, elegant design. The doors are full overlay raised panel with miter construction. Drawers are built with dovetail joints and feature full extension, soft close drawer glides.